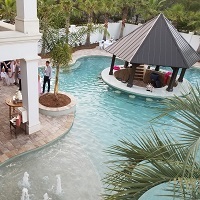 Island Sands Beach Weddings is located in Destin, Florida but we perform weddings and events from Navarre to Inlet Beach. If you are looking for other Venue options, we can help! Just let your Coordinator know and once you are booked with us, we will send you a link with all the best venue and accommodation options in our area to help you find the perfect Venue for your Big Day!